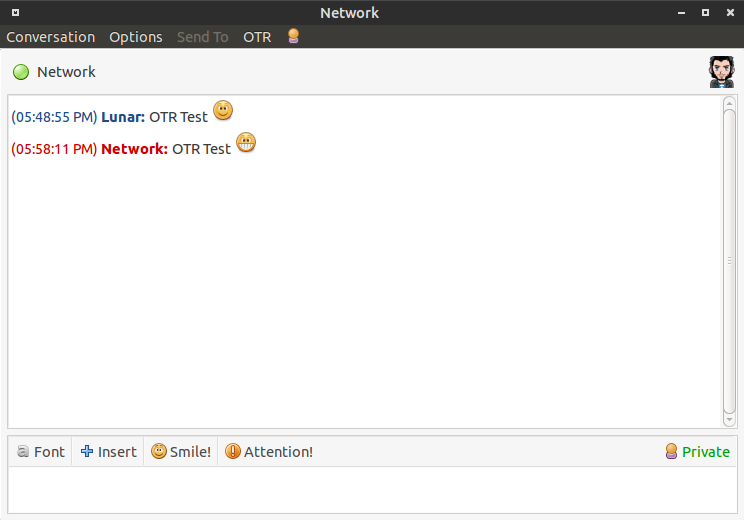 You can find OTR at otr.cypherpunks.ca or if you use Linux you can use your distro’s package manager like apt or yum. 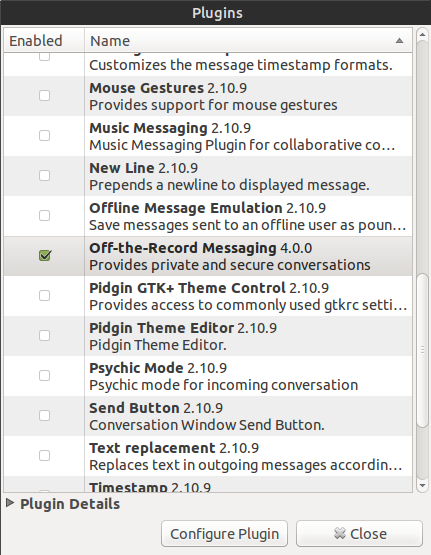 Once you have it installed go to Tools > Plugins and make sure it is checked. Then press “Configure Plugin”, and press “Generate” to create your private key. Please note that you must already have an account added to Pidgin to generate a key. Then you are set to go! 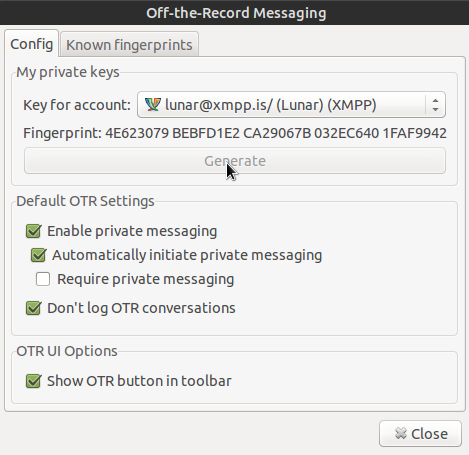 When you chat with someone else who also has OTR installed and configured it will automatically activate and encrypt your conversation.